Cockles and mussels are an unlikely pair in a real estate case. The right to fish for them was the subject of a recent Supreme Court case with wider ramifications for ownership of coastal land and prescriptive rights. The Supreme Court held that the lowest astronomical tides determined the seaward boundary but the estate owner was not able to extend his right to fish over sandbanks, becoming part of the foreshore. Foreshore is mainly owned by the Crown. However, in this case, a private fishery owned the foreshore. The fishery sought to protect valuable fishing rights against other local fishermen who were dredging in the area, by claiming a prescriptive exclusive fishing right over that foreshore. The question was how far the foreshore, and that prescriptive right, extended. The extent of the landward boundary of foreshore is well established. Its seaward boundary is not. Here the court selected the lowest astronomical tide (seen only once every 18.6 years) for the seaward boundary, by reference to the use by the fishery over time. The decision then went on to confirm that a prescriptive right may be acquired over land the identity of which changes (as it would if the owner granted an express grant of a right to use the foreshore as it stood from time to time). But the Supreme Court emphasised that the extent of a prescriptive right depends on the extent of its use, highlighting the practical importance of keeping careful records of such use (and its extent) in order to make a successful claim for a prescriptive right. A useful legal principle, for coastal landowners, is the ‘doctrine of accretion’. This is where the sea gradually recedes so the boundary between land and water can change. This additional land can, in some circumstances, then become part of a landowner’s title. That doctrine does not apply to a specific event, only a slow and gradual accretion. In the present case, however, the silting up of a channel (which had separated a sandbank from the shore) was considered to be a specific event instead. The Court found the actual attachment of sandbanks to the foreshore itself happened ‘at one moment’, unlike the shifting of the low tide mark which will normally be gradual. The case distinguished the gradual extension of one recognised bank and the joining up of two formerly distinct banks; there being no room in this case for the doctrine of accretion. The case most certainly represents a victory for both sides. The public retained their right to fish on the former sandbanks, and the private fishery could claim the most extreme seaward boundary. Although private fisheries are rare in today’s age, the ruling on the doctrine of accretion will be of interest to any landowner whose land abuts water. In addition, the Supreme Court’s discussion of how to measure the extent of a prescriptive right (based on the extent of the user) will also be of wider application to prescriptive easements in general. This post first appeared on the Berwin Leighton Paisner LLP ‘Expert Legal Insights’ website. Reproduced here with kind permission. About the author: Lauren Doherty is an Associate in Real Estate at Berwin Leighton Paisner LLP. 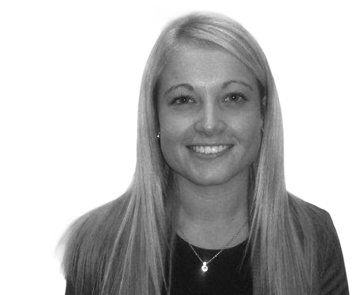 She works on a range of commercial property matters, including freehold and leasehold acquisitions and disposals, landlord and tenant transactions, and property developments. 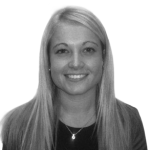 She has completed investment and management work for landlord and tenant clients in the office, retail and industrial sectors. Leave a reply on "Case Comment: Lynn Shellfish Ltd & Ors v Loose & Anor  UKSC 14"